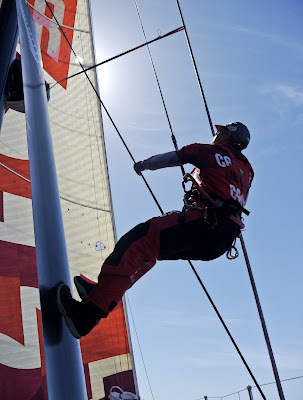 At 1000 UTC this morning it was back to tacking and stacking as all six boats racing in Leg 2 of the Volvo Ocean Race to Abu Dhabi were in sight of each other as they clawed their way up the South African coast towards Port Elizabeth in an eight to 10 knot headwind. 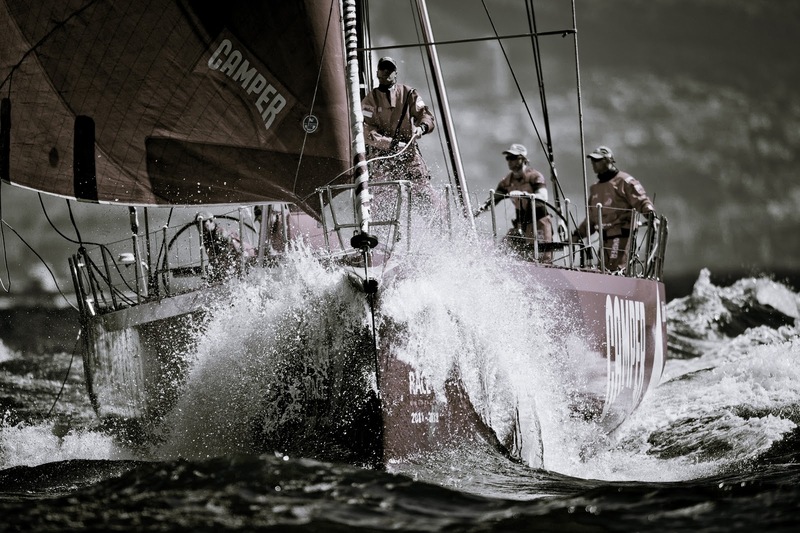 CAMPER (Chris Nicholson/AUS) is leading the field from PUMA’s Mar Mostro (Ken Read/USA) and Groupama 4 (Franck Cammas/FRA). On board today’s leg leader, CAMPER, there is a quiet air of concentration as the crew pushes the boat in conditions to which she is well suited. MCM Hamish Hooper reports lots of moving things around for perfect boat trim, lots of tiptoeing and almost no casual talking as the crew focus on making the boat go fast and retaining their slim lead over Mar Mostro. 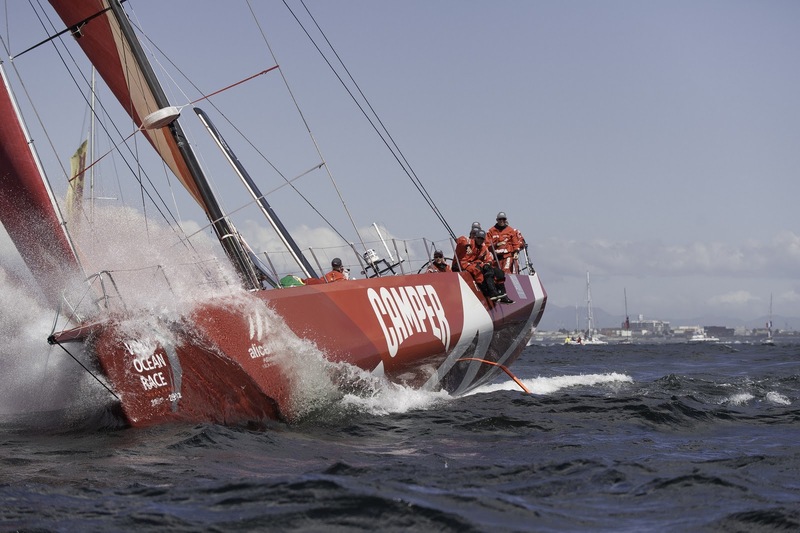 The fleet is split over 18 nautical miles from CAMPER in first place and overall race leader Telefónica (Iker Martínez/ESP) in sixth place. The strategy for today will be to stay close to the coast and sail east-northeast as fast as possible to connect with a new low-pressure system building close to Durban, which will create fresh westerly breeze close to the coast. The backmarkers will have to push hard to prevent being left behind, as every mile of separation will be multiplied by a factor of two or three once the leaders get closer to the low. Currently, the fleet is just off Cape St Francis, 70 nm west of Port Elizabeth where critical decisions will need to be made. 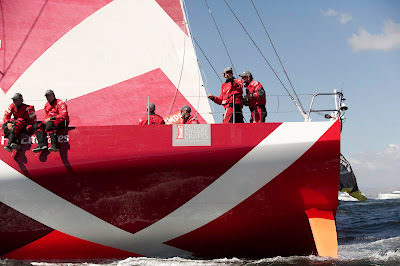 It is here where the fleet will have to contest with three to four knots of adverse Agulhas Current, and this combined with the effects of 25-30 knots of breeze generated by the building low, will create a confused and potentially dangerous wind against tide sea state. The crews will need to cross the current, identifying its narrowest point and strength to ensure the least amount of damage to the boats.